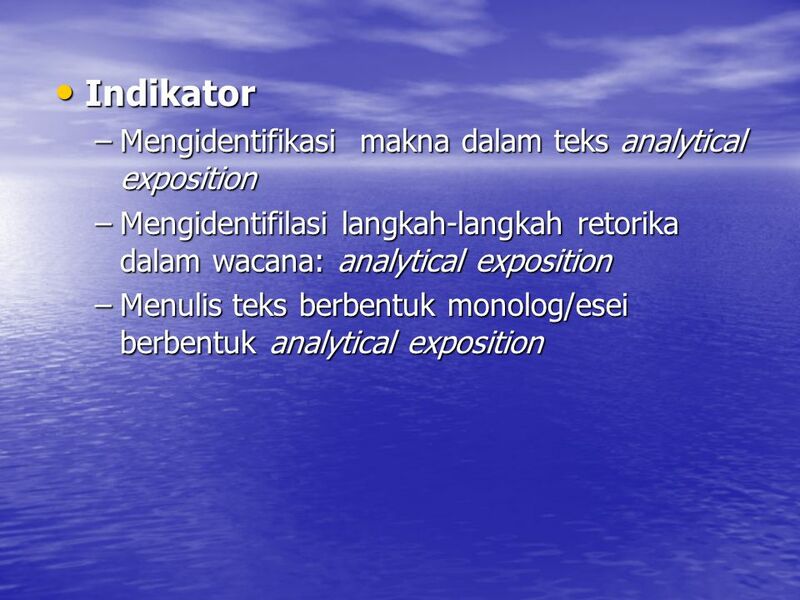 What is the text about? 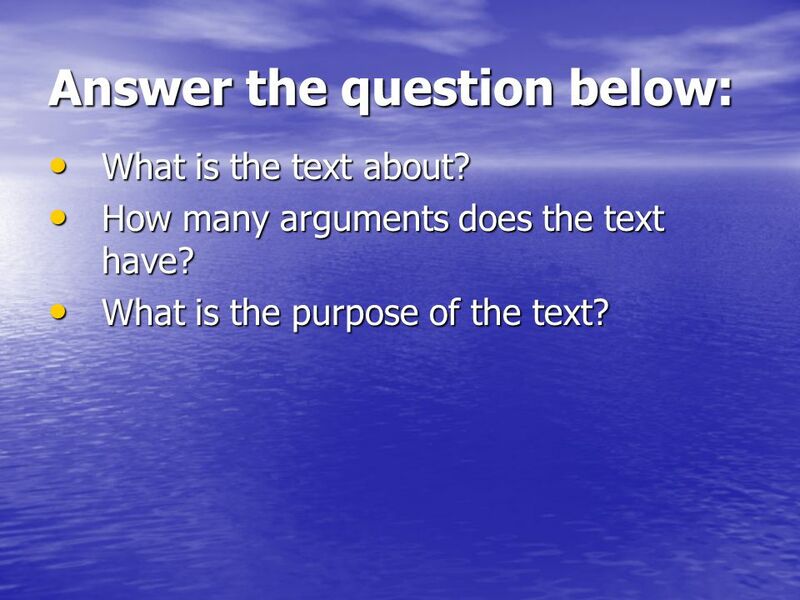 How many arguments does the text have? What is the purpose of the text? 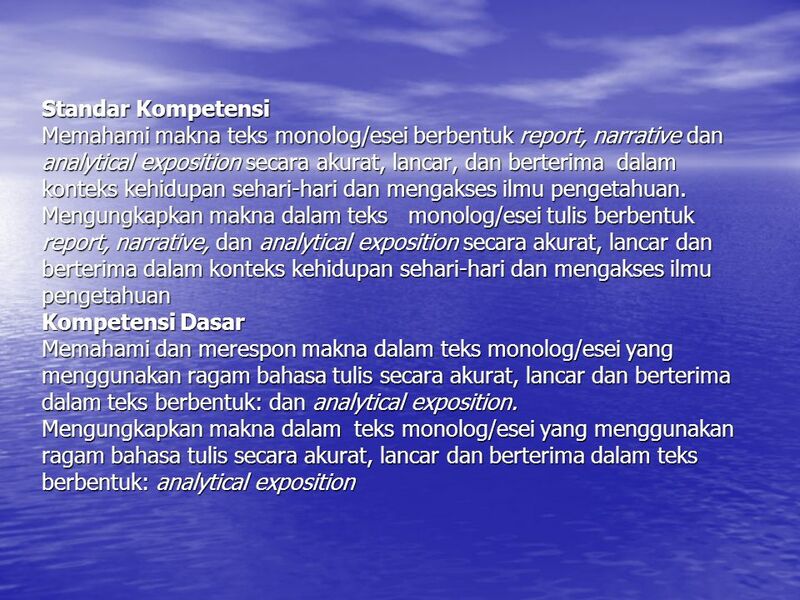 8 Title The Importance of English Language Thesis I personally think that English is the world’s most important language. Why do I say that? 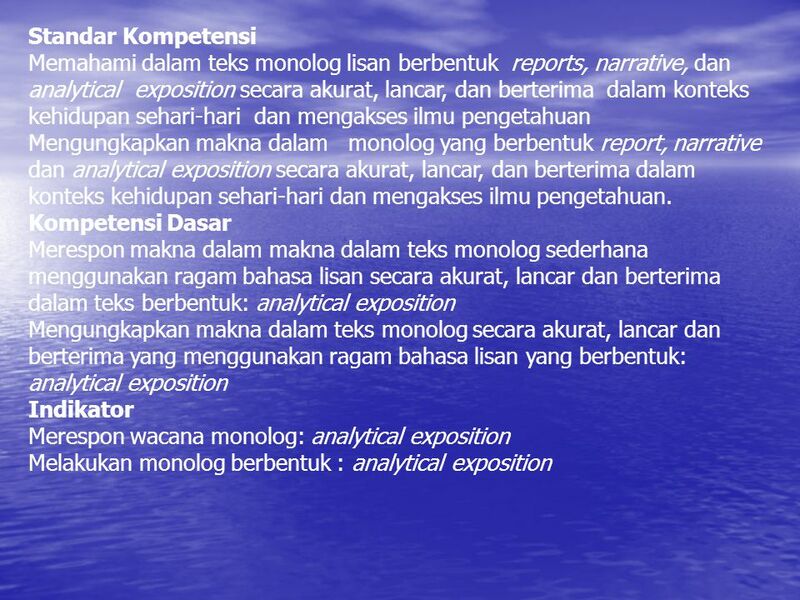 Argument 1 Firstly, English is an international language. It is spoken by many people all over the world, either as a first or second language. 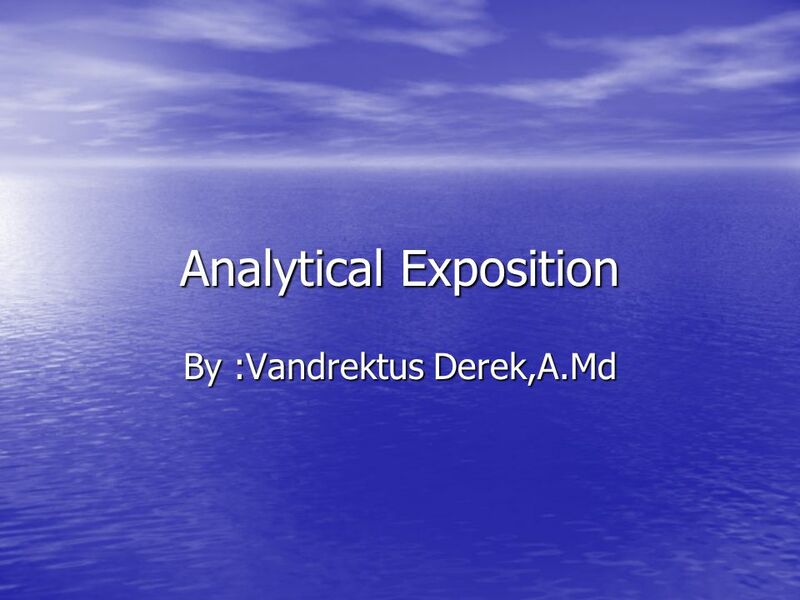 Argument 2 Secondly, English is also the key which opens doors to scientific and technical knowledge, which is needed for the economic and politics development of many countries in the world. 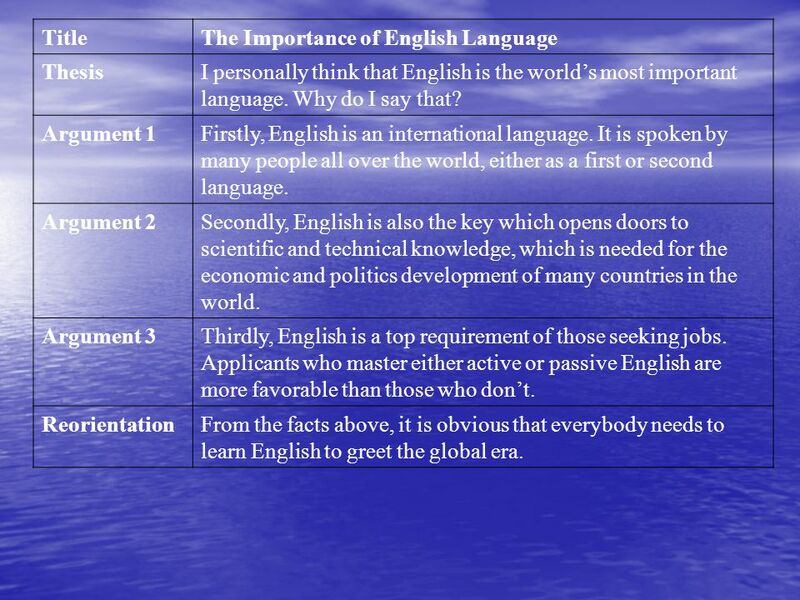 Argument 3 Thirdly, English is a top requirement of those seeking jobs. Applicants who master either active or passive English are more favorable than those who don’t. 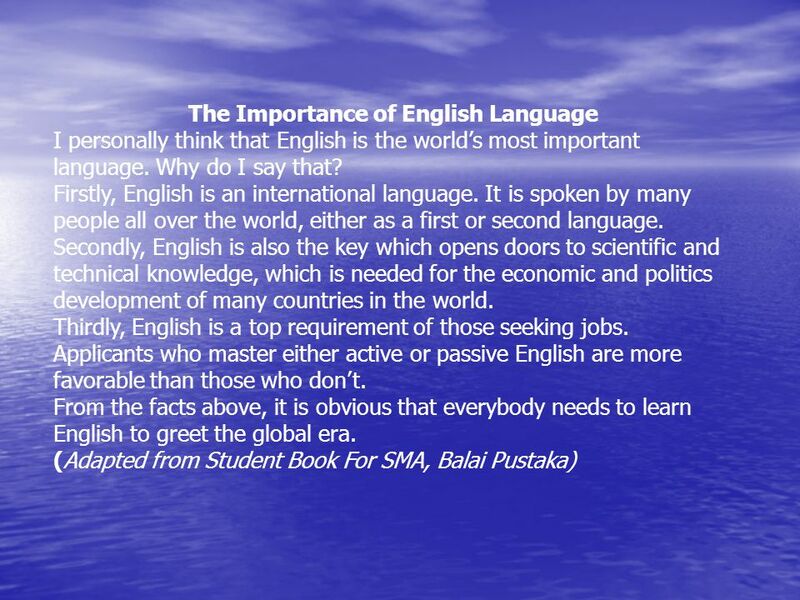 Reorientation From the facts above, it is obvious that everybody needs to learn English to greet the global era. 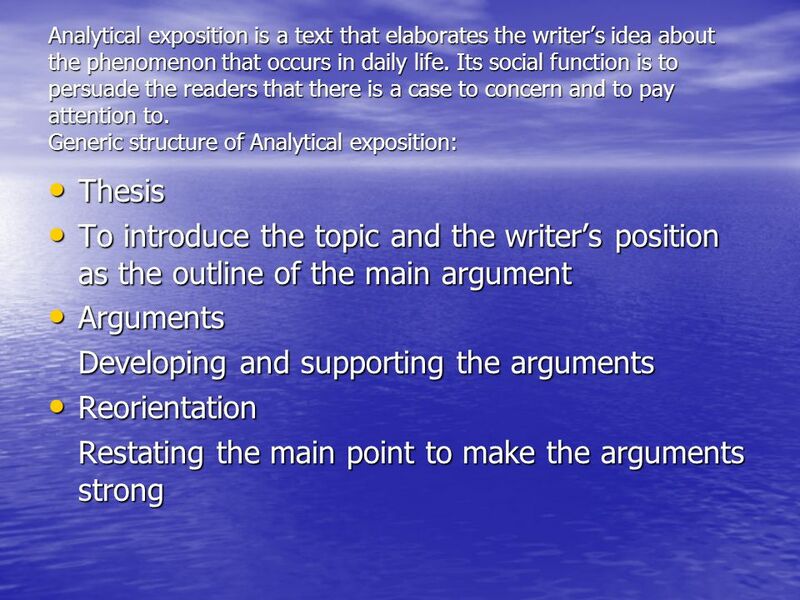 9 Write the analytical Exposition below!